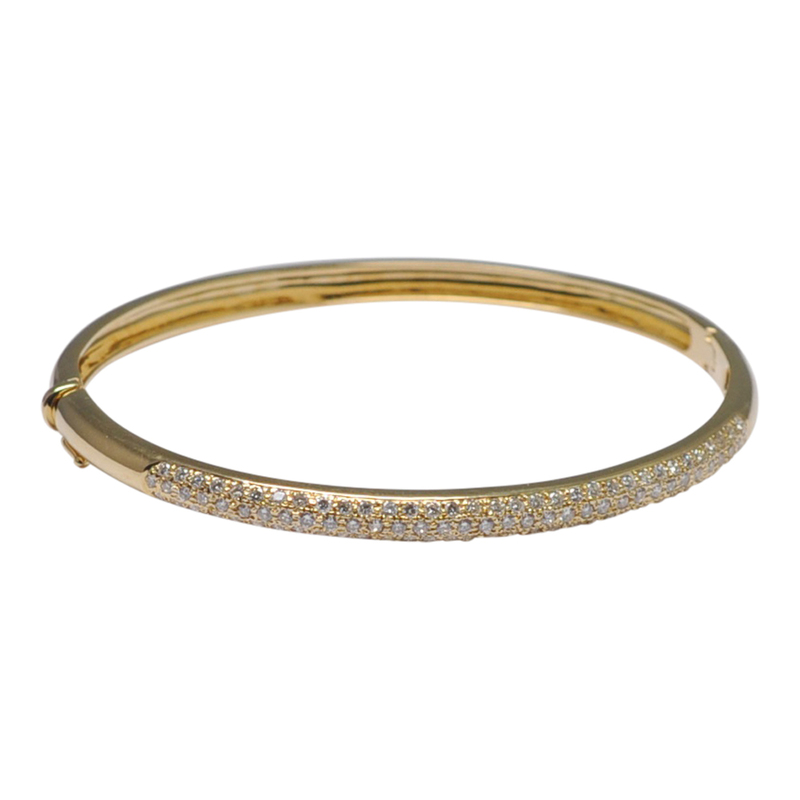 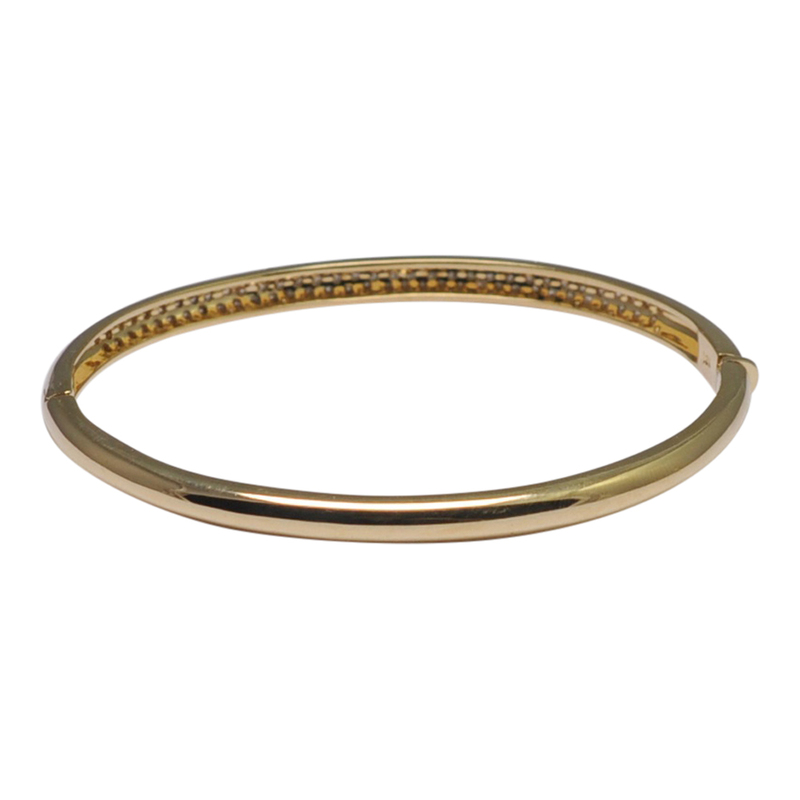 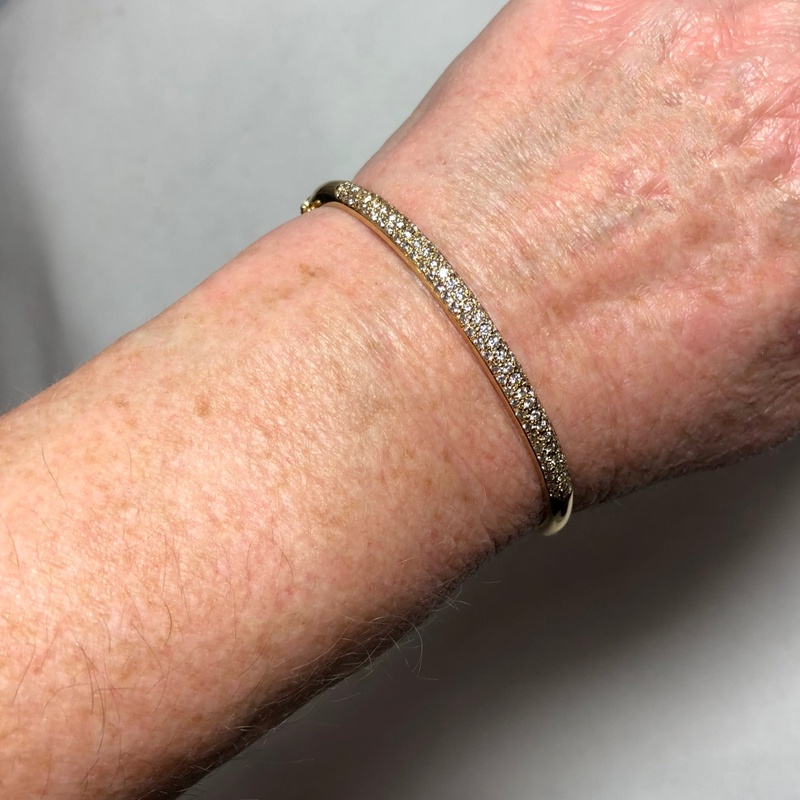 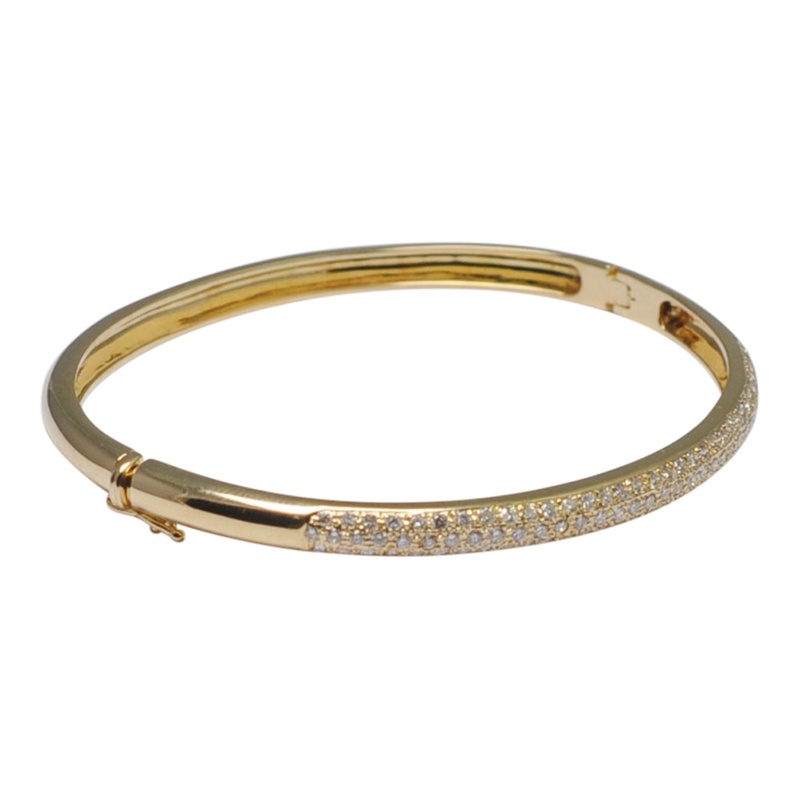 18ct gold and diamond bangle; the bangle opens on a side hinge and closes with a box clasp and a “figure-of-eight” lock for added security. 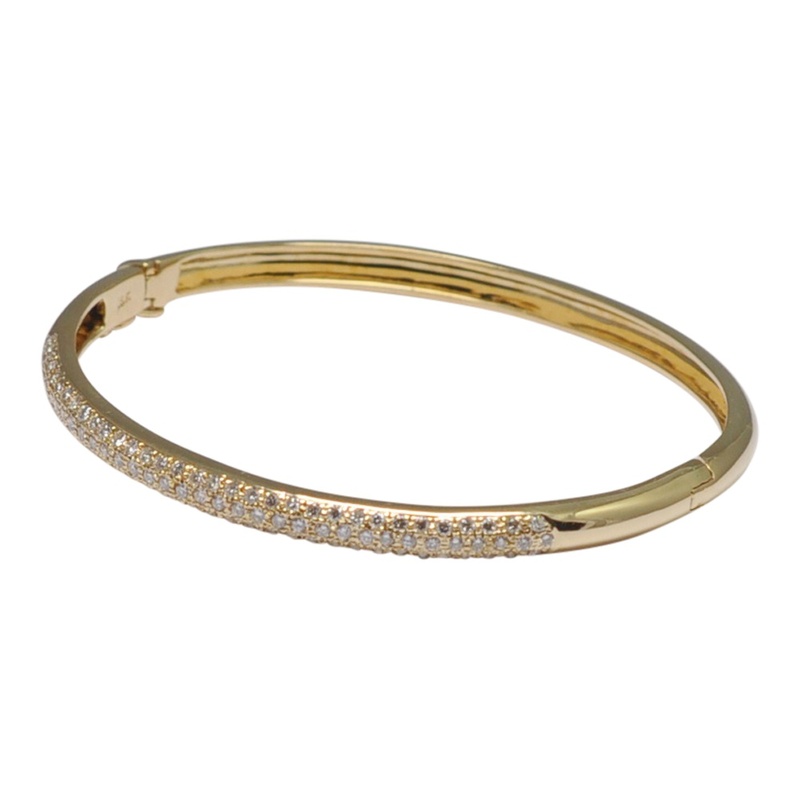 The top half of the bangle is pavé set with brilliant cut diamonds totalling 1ct. 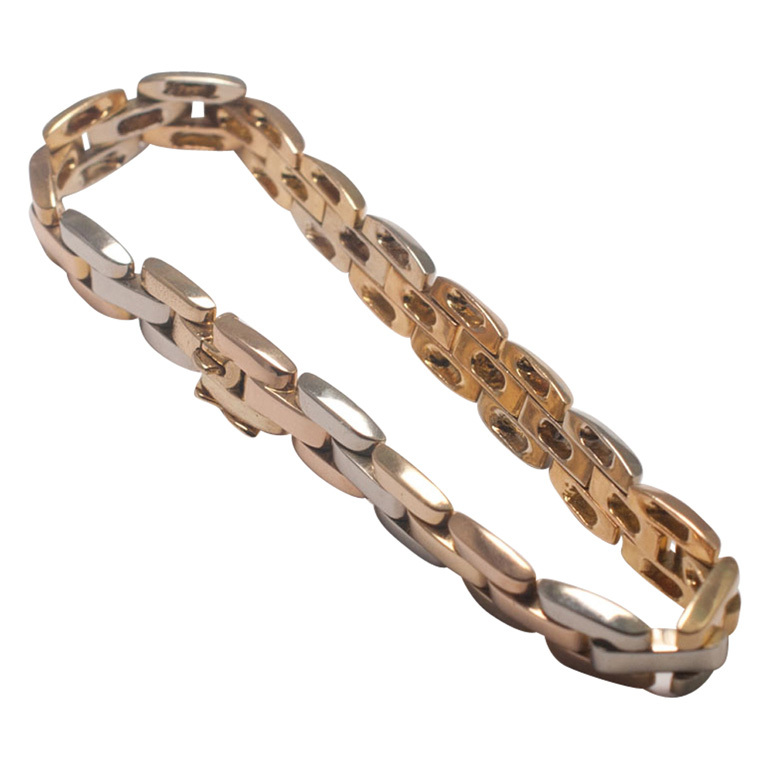 Stamped 18k; weight 13.8gms. 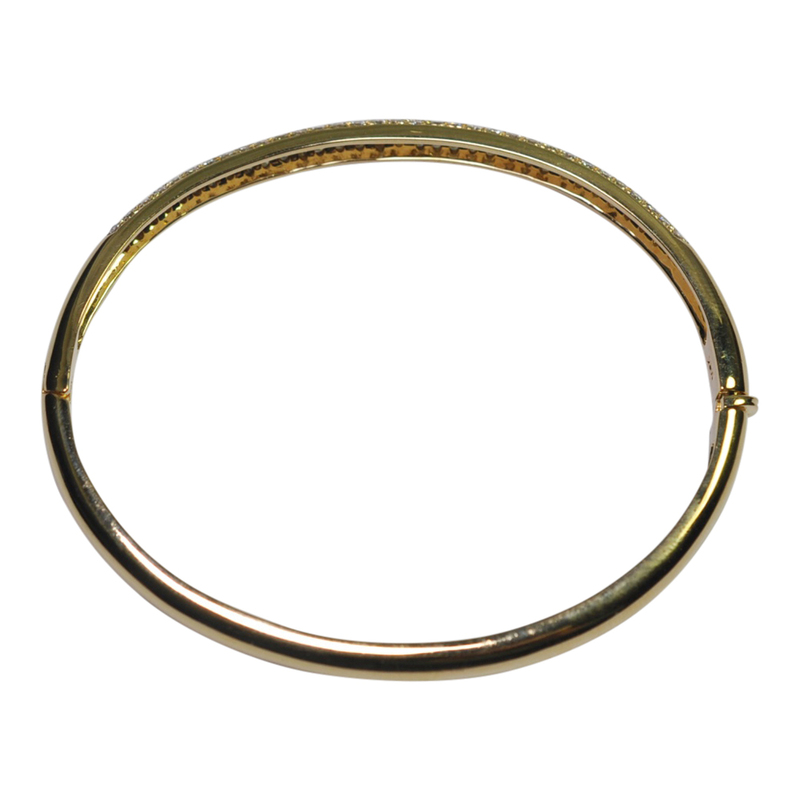 Measurements 4.4mm depth and 6cms x 5cms internal diameter. 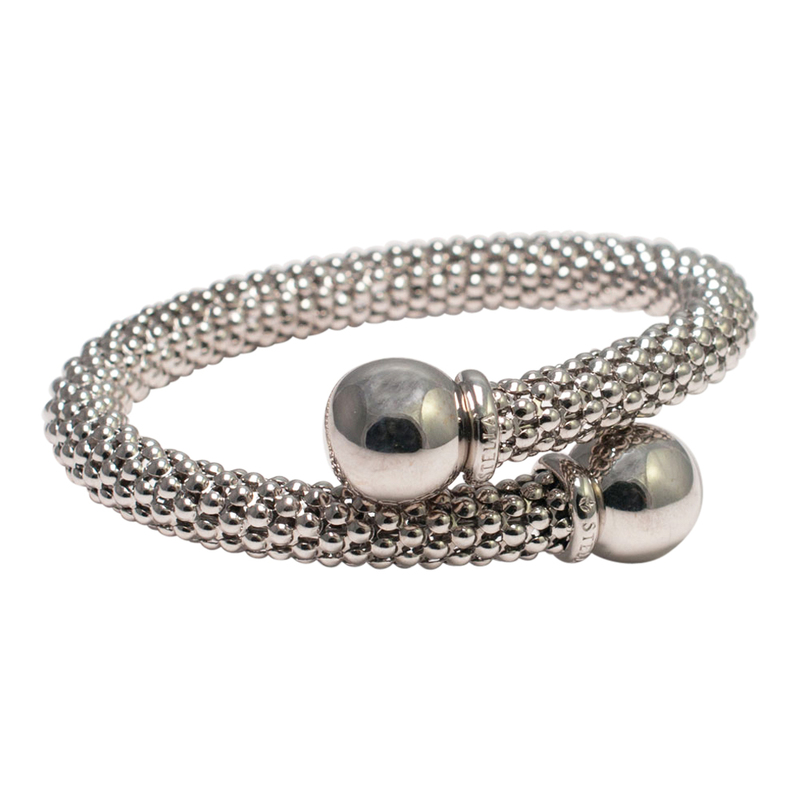 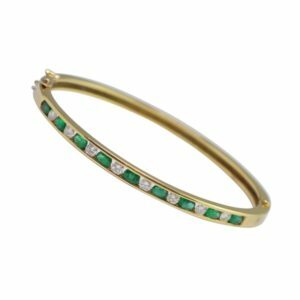 This would be an ideal bangle to wear as a stacking bangle with others or as a stand alone piece. 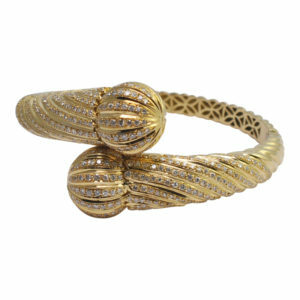 It has been professionally re-polished and is in excellent vintage condition. 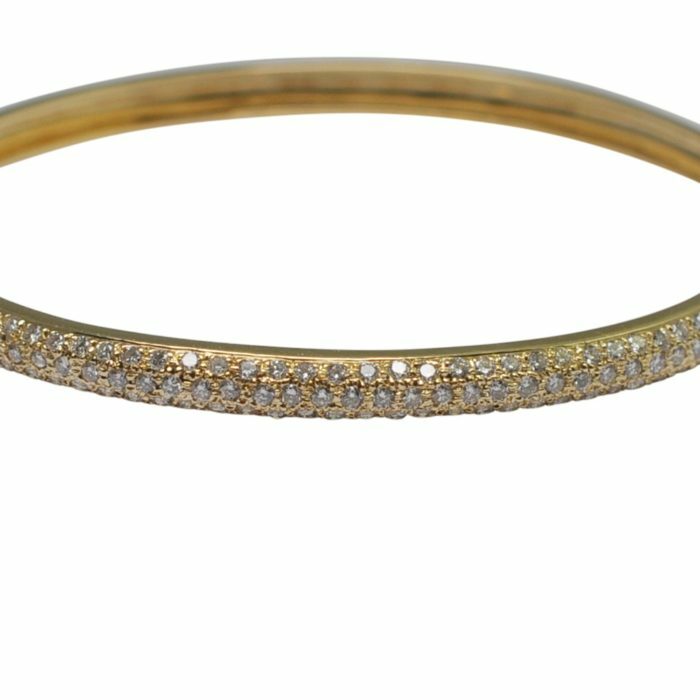 C.1980.